If hurricane Sandy hasn’t been taking over every one of your news channels, you might have heard this story this morning: a Stanford University study says “Organic” fruits and vegetables are no healthier than non-organic, combating the myth that organic is better for you. I’d love to know who said an organic tomato has more lycopene than a tomato grown in a fog of pesticides. That’s not the point of organic. Organic means that you grow produce and raise meat without pesticides, chemical fertilizers, hormones, or antibiotics – which makes the organic produce healthier because you’re not contaminating your body with a continual drip of poison. Here’s what they did find: Organic produce was 30% less likely to be contaminated by pesticide residues, and organic milk and chicken have higher levels of Omega 3 fatty acids. For me, the news story should read “Organic produce is only 30% less likely to be contaminated by pesticide residues.” That is an alarming statistic. Here’s another: No study on organic food has gone on longer than two years, which means no one has gauged the long-term impact of ingesting pesticides. I think Stanford scientists could do with a few more Omega 3s in their diets – they help with brain function. When Coffee Doesn’t Cut it – Could You Be an Adrenaline Junkie? Maybe you’re not the type to leap out of a perfectly good airplane for fun, or dive off of a bridge with nothing between you and the rocks below but a big rubber band. Maybe you don’t even like Splash Mountain at DisneyWorld. So why would I call you an adrenaline junkie? 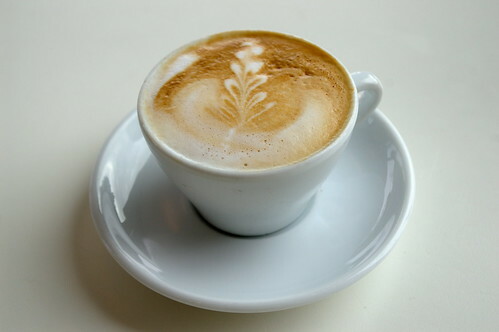 Answer this: When you drink that second cup of coffee in the morning, do you still feel tired? If the answer is yes, then you could be suffering from adrenal fatigue. Not even drinking the whole coffee pot can jump start your adrenal glands at this stage. Is it naptime yet? Your adrenal glands are a pair of tiny, half-ounce triangle-shaped organs responsible for regulating adrenaline, cortisol DHEA and androgens. These are the body’s four major stress hormones! Ack! I’m feeling tense just thinking about them. All those stress hormones serve to keep you awake to deal with whatever is stressing you out. In cave-man days, a sleepless night meant that you were awake to scare off the panther, rather than be eaten. They were vital for survival. But, living in a state of constant high stress can cause your adrenal glands to run out of batteries. If you’re feeling fatigued all the time, and you can’t lift out of it with coffee or sleep, it might be because you’ve exhausted your store of emergency energy. Stimulants like coffee will only make it worse. What You Can Do to Wake Up! You have to remove yourself from the stressful situation. When was your last vacation? Maybe it’s even time for a career change, because adrenal function is nothing to play around with. They can break for good if you’re not careful. Meanwhile, the Medical University of South Carolina found that people who take twenty minutes a day to practice progressive muscle relaxing had significantly less anxiety, depression and cortisol levels. They also curbed nighttime food cravings (stress has long been linked to weight gain). Seriously, take a yoga class. Read. Go. To. The. Beach. Get at least 3 hours of exercise every week. And – lay off the caffeine. As a kid in an Italian-American family, I didn’t grow up eating mac’n’cheese from a box, we didn’t have fried chicken, or casseroles. And we never ate anything out of a can. At home, my mom cooked every night: Pasta fagioli, fritatta, meatballs, and fish on Fridays including calamari and bacalao (salted cod). We ate calves liver with sautéed onion and bacon, stuffed peppers, linguine with white clam sauce, mussels, and my favorite, eggplant parmesan. These recipes weren’t low-fat or low calorie, but my mother made sure we had a salad on the table at every dinner. With food that tasted that fresh, and that good, I never believed people should settle for less. Even when dieting. Here is one of my favorite Italian recipes that brings back the flavors of my mother’s kitchen, but without the fat and carbs! Slice the eggplant 1/8-inch thick horizontally and lay out on sheet pans over paper towels . Sprinkle with 2 tablespoons of sea salt and set aside to “sweat.” This is how you achieve that great noodle-like texture, without the noodles. Puree fresh tomato with crushed red pepper, 1 cup- onion, 1/2 tbs of sea salt, 1/2 cup of basil, and 1/2 cup of parsley (stems removed). Bring tomato mixture to simmer on stove over medium low heat, careful not to burn the bottom, and let cook at a slow simmer for 15 to 20 minutes. Brown ground poultry in a large skillet with cooking spray, add cup of chopped onion, 1/4 cup of chopped basil, 1/4 cup of chopped parsley, oregano, fennel seed, 1/2 tsp of black pepper and a pinch of sea salt. Drain cottage cheese and mix with remaining fresh herbs and black pepper. Rinse all of the eggplant slices thoroughly and pat dry. Begin with a 2 inch deep baking pan. Coat bottom of the pan with your fresh tomato sauce, cover with eggplant, layer with drowned meat and dollop with cottage cheese mixture. Continue until all of the eggplant is gone. Top with additional fresh tomato basil sauce. The acid in the tomato sauce may eat through tin foil – to prevent this, you can cover the top layer with plastic wrap, and then cover the plastic wrap entirely with foil. The plastic won’t melt – I promise. Bake covered in a 350-degree oven for 30 minutes. Un-cover completely and continue baking for an additional 20 minutes. Remove from oven and let stand 10 minutes before cutting. • To make this meal Vegan or comply with Ideal Protein® protocol we omit the cottage cheese. • Average calories per 8 ounce serving: 254, 234 without the cheese, all nutritional information is calculated on the web and is accurate to the best of our ability. Full nutritional information is available on request. TOO BUSY TO COOK? Catering is available daily in our store front or online. At Intelligent Gourmet, we take flavors you love and make them better for you. What’s better in Fall than spreading sweet rich pumpkin butter over your whole-grain toast in the morning? Not much! Well, maybe raiding your kid’s Halloween haul, but we haven’t come up with a healthy version for that (yet). Pumpkin is full of nutrients that improve your skin, your mood, and your health (including helping to prevent prostate cancer and kidney stones). When combined with ginger (anti-inflammatory), cinnamon (reduces bad cholesterol), and cardamom (anti-oxidant), this is a power packed treat. Your kids might even trade their candy for it. Note: You can adjust the sugar and seasonings to your own taste of course. 1. 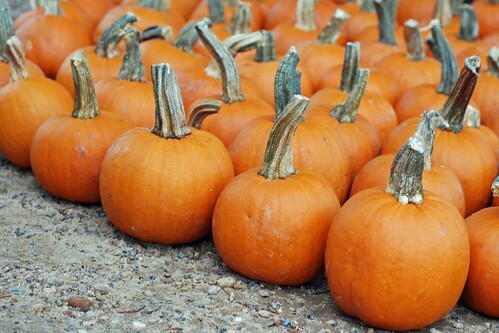 Boil or Bake raw pumpkin until soft, drain well and measure out the 3.5 cups, or use 1 (29 ounce) can pumpkin puree. 2. Combine all ingredients in a large saucepan except lemon juice, mix well. 3. Bring mixture to a boil, then cover loosely with lid ajar (slightly offset). Reduce heat to low-medium and simmer, in the same manner for an additional 40 minutes, stirring frequently. This mixture may bubble and splatter if not careful. 4. Remove from heat and let it sit for 15 minutes before removing lid. 5. Adjust sucanat or sugar to taste if necessary, then stir in lemon juice. 6. Cool completely, and put in an airtight container like a large mason jar. Store in refrigerator for up to 3 weeks. * Sucanat is a less-processed alternative to sugar with small amounts of nutrients in it as well. Essentially, it’s dehydrated sugar cane juice, and is an abbreviation for “sugar-cane-natural.” It has a stronger molasses flavor than refined white sugar because it retains the nutrients found in sugar cane juice, like iron, calcium, B6, and potassium.